At its meeting on Monday, 10/22, the Fairhaven Selectboard accepted the warrant for the Special Town Meeting scheduled for 11/13. Articles include disbursement of funds for the new wage and classifica­tion study recommendations, a retail marijuana zoning bylaw, and an extension of the moratorium on retail marijuana. Town Meeting members will vote on 15 articles, including some spend­ing bills, an article authorizing the Selectboard to sell the Rogers School building; an article to rezone the Rogers School property to accom­modate a proposal by a developer interested in the site; an article to reimburse Robert “Hoppy” Hobson $1,000 for legal fees he incurred when his race for Board of Public Works was a tie and resulted in confusion on how to handle it due to incorrect information he received from the town; a change in the liquor license for Total Confections/Emma Jean’s; two street acceptances, for Doane Court and Reynolds Drive. The board did not formally vote on its positions for each article, but will do so at a meeting before STM so those recommendations will appear on the warrant. All three board members spoke in favor of accepting the recommenda­tions of the final “Compensation and Classification Study for non-union positions” for the town. Town Administrator Mark Rees reminded the board and the public that the study was a long term goal. The point was to get job descriptions that reflect the actual work that each employee does, and to study the compensation to make sure people were getting a competitive wage. According to Human Resources Director Anne O’Brien, most town positions came in low, to no one’s big surprise. State law requires that at the very least, there is at attempt at “internal equity” in pay rates. The new system sets up 22 grades, with nine steps each. Existing posi­tions have been placed in the grades and steps according to research showing they should be getting paid a certain amount, but also based on what they are making now. Some jobs will see a big increase, others will stay close to the same. The funds for the new wages have already been included in the budget, and raises will be retro­active to July l, 2018. Town Meeting members will be asked to amend the operating budget to disburse the funds to the specific department salary line items. TM allocated $150,000, but the amount needed has been lowered to $122,000. Selectboard member Charles Murphy said that the problem of underpaying employees and not having equitable pay rates across departments was a long time problem that he confronted in his role on the Personnel Board. He said people doing a job in one place got paid a different amount than someone doing the same job in another department. Selectboard member Bob Espindola said he realized some residents were worried that the town was spending money it might not have in the future, and would have to lay off workers. He said the funding sources are well documented and he felt confident that no layoffs would happen because of the new salary structure. Selectboard Chairperson Daniel Freitas also said he supported the changes, but also took shots at two unnamed employees in the public works department he said got raises as they left. It was unclear what that had to do with the wage and classifica­tion discussion. Assistant Sewer Superintendent Rene Robillard spoke in favor of the plan. He said his department has trouble keeping employees because they can get paid so much more at other places for the same work. Fire Chief Timothy Francis said his department has had trouble keeping employees, especially call firefighters because other towns pay so much more, so he was happy with the increase they would get. Police Chief Michael Myers echoed that sentiment. “It’s a good thing to be able to say they are where they belong,” said Chief Myers. 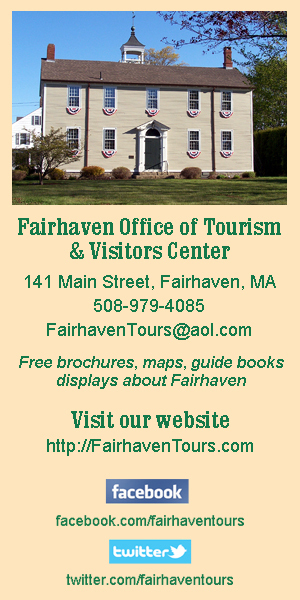 The study is available on the town’s website at https://www.fairhaven-ma.gov/human-resources/pages/proposed-compensation-and-classification-study-non-union-positions or by contacting the Human Re­sources Department, HR@Fairhaven-MA.gov or, 508-979-4022, Ext. 149. Also on the agenda was a discus­sion item about the board’s repre­senta­tive on the Marine Resources Committee. Mr. Freitas is the current rep, and his clashes with the MRC chair and members have spilled over into Selectboard meetings. He has said several times that he wanted to quit the committee, but then changed his mind each time even though Mr. Espindola volunteered to take it over. On Monday, Mr. Freitas said he thought he would be “stepping away” from the MRC. Mr. Espindola said he was still willing to take on that committee, but at the last meeting, he realized he is on too many committees. He asked if they could delay the decision to the next meeting so they could review all their committee assignments.